Christopher Nicholson was born in London in 1956 and brought up in Surrey. He was educated at Tonbridge School in Kent, and read English at Gonville and Caius College, Cambridge. After university he worked in Cornwall for a charity encouraging community development. He then became a radio scriptwriter and producer, and made many documentaries and features mainly for the BBC World Service in London. He was married to the artist Catharine Nicholson, who died in 2011 www.catharinenicholson.com. He has two children, a son and a daughter. For the past twenty-five years he has lived in the countryside on the border between Wiltshire and Dorset. 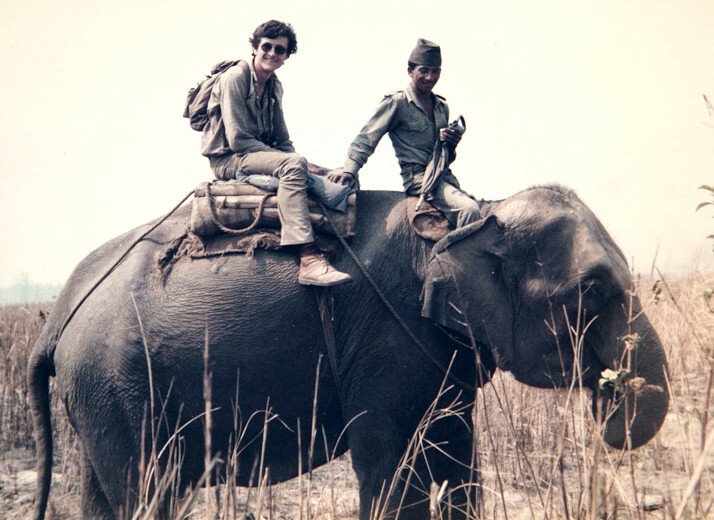 Christopher Nicholson, mahout and elephant. Chitwan National Park, Nepal, 1984.